Welcome to OGCA Veteran Central! Below are a few opportunities worth checking out. 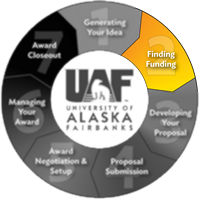 These provide funding for you, the Veteran Student and Researcher, to enhance veteran participation in research activities. If you know of any particular projects you’d like to be a part of, let us know and we’ll see about getting you onboard. If you run across additional opportunities, let us know so we can get the word out!